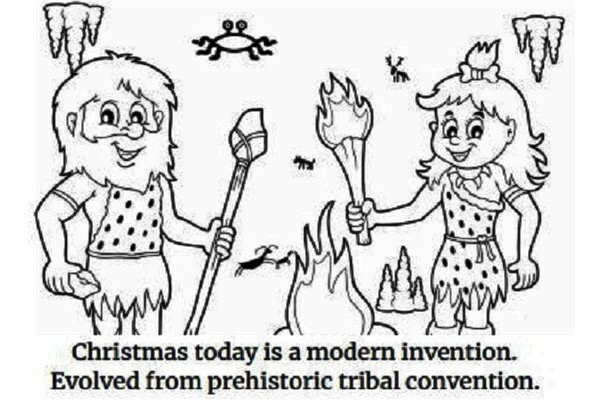 The “Atheist Christmas Coloring Book” is aimed towards the rational thinker. Rick Marazzani's Atheist Christmas Coloring Book, makes the perfect gift for an atheist. The book, even though it uses the word Christmas, does not perpetuate the Christian belief. It instead explains the origins of Christmas along with the multiple legends which blend to form the tale we read now. The Atheist Christmas Coloring Book represents a creative method for children and even inquisitive adults to learn and comprehend Christmas' rational origins through rhyme and pictures. It is a secular coloring book for agnostics, atheists, and humanists filled with insightful poetry and whimsical art. Readers, whatever their age, will understand the many legends which were skillfully used to create and perpetuate what can be regarded as Christianity's biggest festival. The modern and old traditions are presented to freethinkers so that they can enjoy the last days of the year. The tradition of Christmas was crafted from a mix of much older traditions like Hanukkah, Yule, Solstice, and Saturnalia which happened hundreds of years before. The tales were not only edited and blended, but also embellished with fables and fairy tales until it reached the modern, beautiful, and secular traditions of today. The book informs those who are interested that values like celebration, joy, sharing, and peace are not restricted to a single secular celebration of modern times. Rick Marazzani is the author of the book. He describes himself as an objective freethinker. He also identifies himself as a technology nerd and geek dad. Claire Viskova illustrated the coloring book. The book itself is 25 pages thick and suitable for readers of all faiths and all ages but is specifically targeted towards children. The book makes for an excellent resource to learn about the origin of Christmas through rhyme and pictures. The website of the publisher claims that Christmas is too big a festival to be limited to a single culture or religion. The book presents a rational approach to holidays and encourages everyone to share the joy and caring spirit.